What's on? : Listening to call-lights. May you have many returns!! 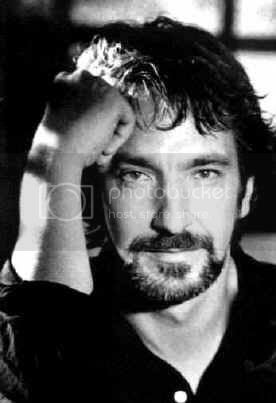 Some Alan Rickman Pic-Spam for you, plucked them of of photobucket. Those are real purty pictures! May I steal the icon at the bottom? Did you make it? I didn't make it. I found it in photobucket. I don't know who made it. Thank you so much! God, Alan for my bday! Hope it was a great day! Many happy returns. Loved you pic presents. Hope all your goodies were as inspiring. AR What a man! How many guys look that good kissing another guy? I know! I imagine myself kissing him, as I used to have really short hair. One can dream. . .